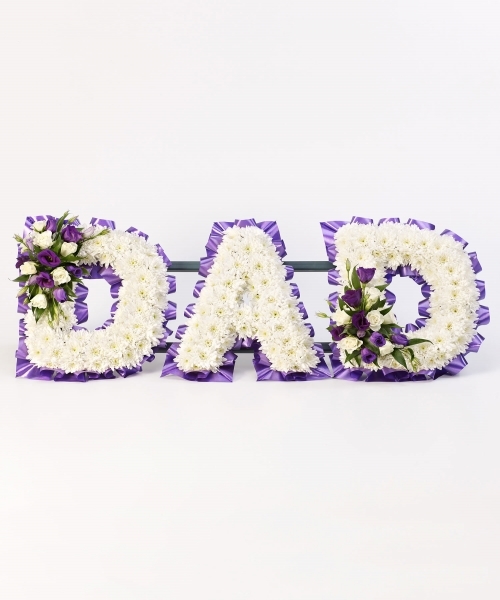 Dad tribute consisting of a white double Chrysanthemums base in with a red spray. Sprays also available in a variety of different colours, please call us to discuss. Based tributes can have a foliage or ribbon edging, and you can select other tributes such as ‘GRANDMA’, ‘AUNT’ ‘MUM’ ‘GRANDAD’ etc.